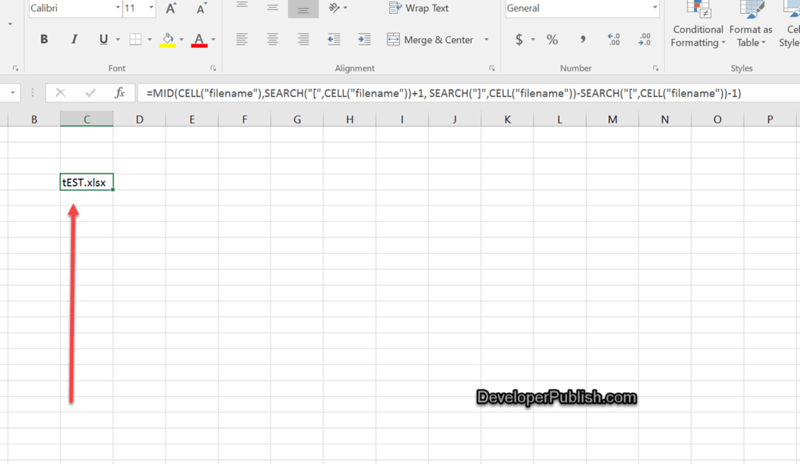 Assume that you want to display the name of the current file in a cell of your worksheet , you can easily do it using the formulas in Microsoft Excel 2016. 1. Open your saved Excel workbook in Microsoft Excel 2016. 2. Select a cell where you want to display the name of the file and enter the following formula and press the enter key. 3. The Selected cell should display the name of the excel file in it.